Growing demand for light emitting diode (LED) products and increasing testing complexity continue to challenge electronic printed circuit board (PCB) manufacturers. 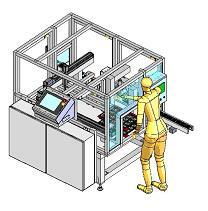 This intelligent production line system can deliver the process controls needed to meet global quality standards. · 10 mA test current max.